Beach wheelchairs are mobility devices for those suffering from medical and mobility impairments. It allows impaired individuals to enjoy beach access while adapting to their specific medical limitations. Rolling beach wheelchairs are generally designed to transition their users from hard surfaces like the parking lot onto the beach and into the water. 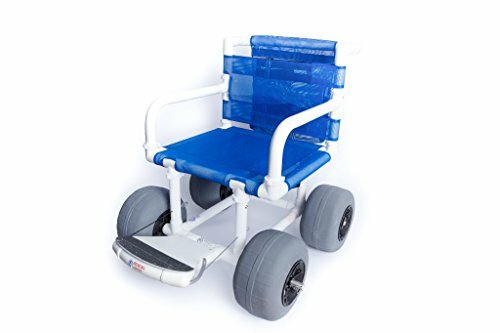 They are ideal for people with special needs, disabled children and anybody with a mobility issue that requires a handicap aid to navigate on the soft surface of sand. S﻿﻿ome beach wheelchairs like the Hippocampe actually float. There are several best-selling beach wheelchairs on the market- lets take a look at them and see how they compare. 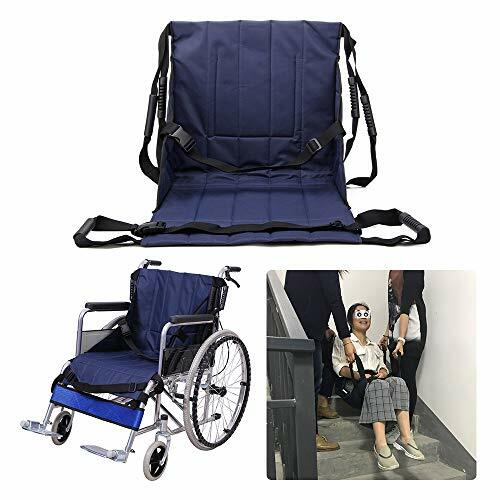 Polyester Fabric makes it durable and reuse,reinforced stitching at handles,4 handles help distribute the patients weight evenly over, ease positioning and transfer safety. 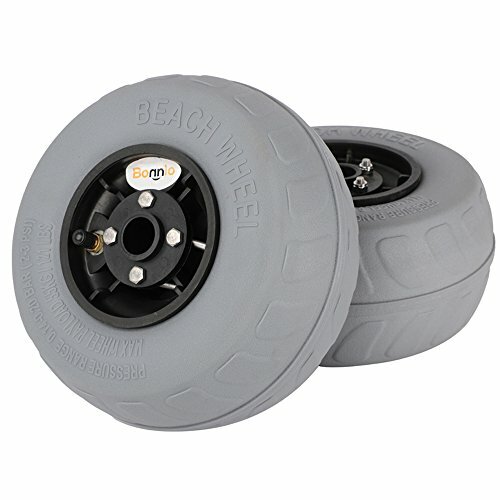 Generally beach wheelchairs are all-terrain devices that are resilient to tipping over, providing strong security from incredibly thick tread tires. They're frequently complemented by beach carts- which are great for transporting towels, toys and folding chairs to the waterfront. 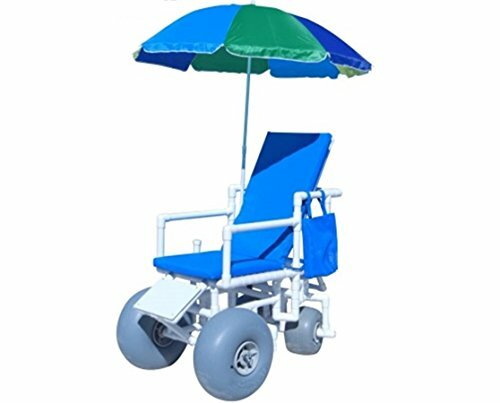 Beach wheelchairs are often considered a specialized subcategory of all-terrain wheelchairs. All-terrain wheelchairs are more rugged and sporty wheelchair options that enable their users to traverse more difficult outdoor terrains. All-terrain wheelchairs will enable you to navigate over a variety of different obstacles including sand. While beach wheelchairs themselves are solely suited to navigating sand. One of our favorites, the Hippocampe, is a highly adjustable and adaptable unit that includes armrests, headrests a push bar and it floats, as well. One user writes of volunteering at different beach events for Americans with disabilities and noting how difficult it can be to push an adult in a beach wheelchair. 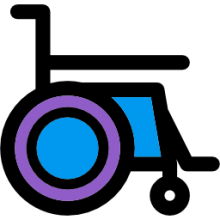 One of the primary complaints that sometimes plagues these mobility devices is that they can be incredibly hard to push when the user is seated inside of them. An incomplete quadriplegic describes using the adjustable Mobi rolling beach wheelchair to enjoy the beach at Wildwood Crest, Jersey Shore. He describes being able to ride waves and immerse himself completely inside of the ocean water- and he doesn't just mean sitting in a few measly inches, but instead actually being inside the ocean itself. In his case, it does require two people to kind of pull him along on especially soft sand- a rope attaches to the front of the wheelchair and the person will pull that while someone will also push on the chair from behind. Other things to consider- do you want a beach wheelchair that floats? Perhaps you not even need to buy one- many area beaches provide rentals. If you frequent the beach and ocean often, a sturdy beach wheelchair, whether it's motorized or hand-powered, can be a solid purchase option. 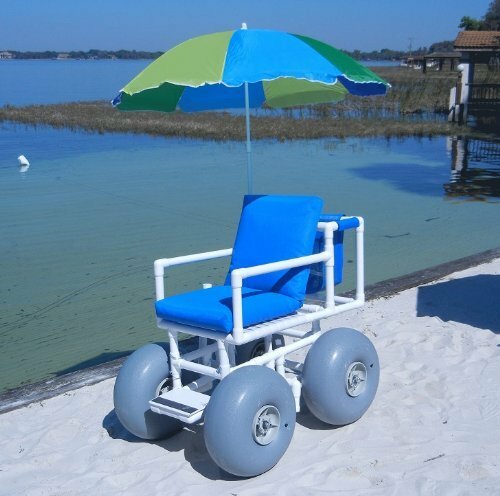 Some especially crafty individuals have figured out how to make beach wheelchairs on their own. If you are not particularly handy, it's probably best not to build your own beach wheelchair, but instead investigate purchase options online.